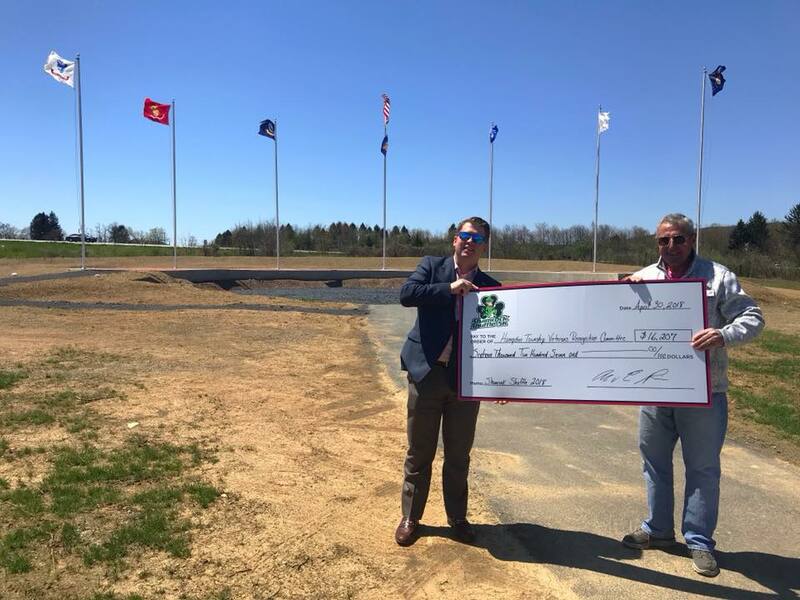 On April 30th, the Hampden Township Veterans Recognition Committee received a donation from the organizers of the popular Shamrock Shuffle 5k. Mike Pion of NextHome Capital Realty presented a check for $16,207 to HTVRC President Gary Coburn at the Leon Lock Veterans Memorial. NextHome Capital Realty organizes the Shamrock Shuffle 5K through their charitable program, MP Cares. This year’s event included a 5k run, family fun run, performances by the McGinley School of Irish Dance, and complimentary brews from Pizza Boy Brewing Co. The HTVRC would like to thank NextHome Capital Realty and all of those that make the Shamrock Shuffle possible for this incredible contribution!